Muddy waters in Hoover pond paint murky picture of EPA stormwater issue | al.com: Randy and Mary Raines Harper used to enjoy morning coffee on their porch overlooking a blue-green 4-acre lake, a lake carefully managed for bass fishing that has been in Mary Harper's family since the 1950s. But since November, the once-clear lake is the color of creamy coffee after a construction project at neighboring Riverchase United Methodist Church in Hoover sent mud from a denuded 7-acre hillside pouring through storm sewers and into the lake. In Birmingham’s Lakeview District, a Revival Is Planned - NYTimes.com: Now, a descendant of one of Birmingham’s founders is trying to invigorate a section of the city and bring people and businesses back to the urban core. 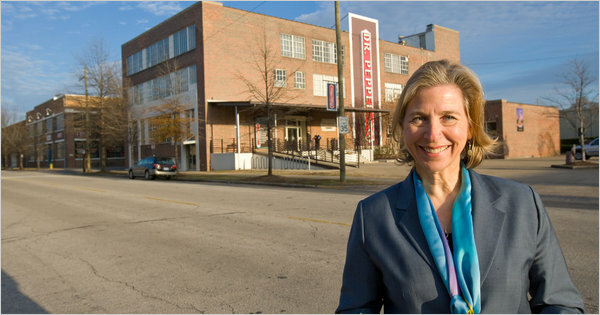 Catherine Sloss Crenshaw, whose great-great-grandfather James Withers Sloss was a prominent iron manufacturer, has bought numerous properties in the Lakeview district with the goal of creating a design-centered destination.